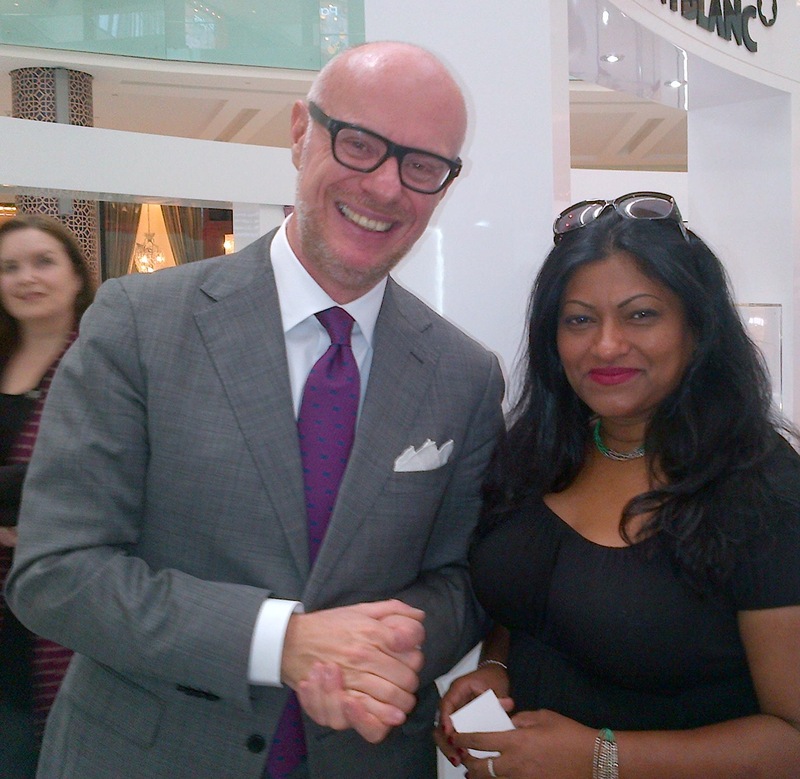 My visit to Dubai Mall got exciting one weekend recently seeing an exhibition as Montblanc paid tribute to the 20th Century’s Unforgettable Style Icon, (Princess Grace of Monaco of course) with a collection of precious, handcrafted jewellery, timepieces and writing instruments that is both feminine and timelessly elegant. I am a huge fan of Montblanc already when it comes to watches, business card holders, pens, belts and diaries but I admit I never looked twice at their jewellery in the past. And every time I have entered a Mont Blanc shop, its because I needed inspiration to buy a gift for my guy friends….never for a woman and yet I have always walked out with something for me but just not jewellery. My best purchase there has to be a limited edition commemorative pen for a dear friend. So it was different to see Montblanc in all their glory at the mall showing this new dazzling travelling collection which forms the centrepiece for a stunning commemorative exhibition of the late Princess. It was inspired by Princess Grace’s sophistication and her love of roses. 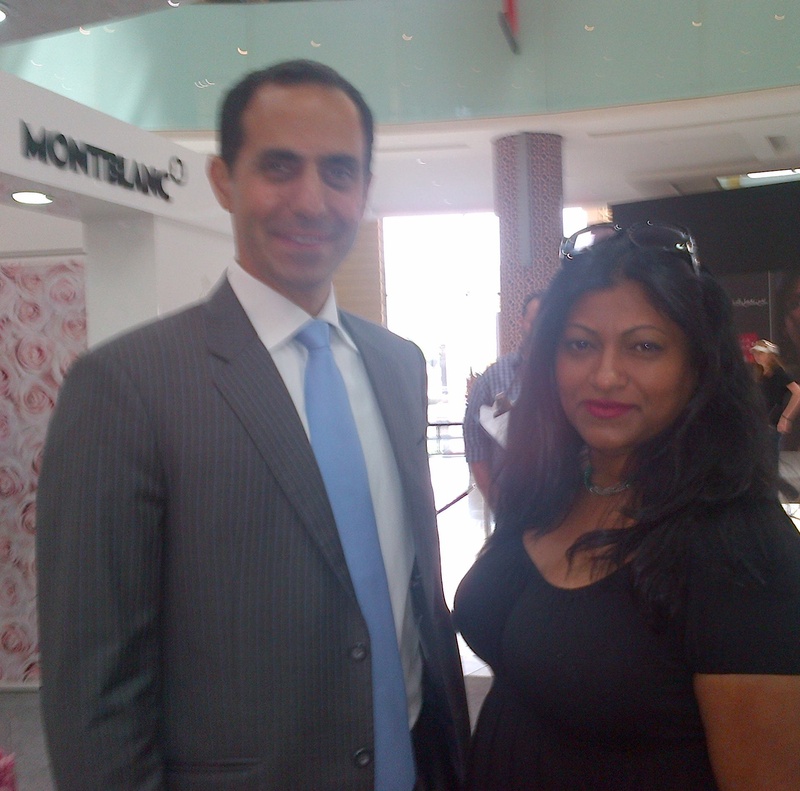 Naturally Joe Nahhas of Montblanc was over the moon about hosting the special tribute collection in Dubai. He was with Montblanc’s Creative Director Carlo Giordanetti who worked closely with Albert II, Sovereign Prince of Monaco, to design each piece of the tribute collection. Needless to say, every detail of the collection reflects Princess Grace’s alluring spirit, poise and glowing charm. Giordenetti was beaming when he told us the idea for this collection was borne out of the Palace of Monaco when Montblanc writing instrument dedicated to Prince Rainier III was presented to Prince Albert with a special edition. He fell in love with it and told Mont Blanc to explore this idea further and create a tribute to his mother, Princess Grace, in the form of jewellery and watches. Before she became Her Serene Highness, Princess Grace of Monaco was already royalty in Hollywood. Known then as Grace Kelly, she shot to fame in the early 1950s and by 1955 won the Oscar for Best Actress at The Academy Awards and is remembered and revered for her sophistication, classic, otherworldly beauty and her inimitable style is effortless and timeless. Beyond the external image, her innate elegance and kindness touched every aspect of her life and work. This elegance shone through her on-screen talents, through her indefatigable charity work, her commitment to family and her never-ending support for emerging artistic talent. This spirit, compassion and style are now distilled into the Montblanc collection. The exquisite and emotive lemotif linking all four collections is the classic pink rose, Princess Grace’s favourite flower – quintessentially feminine, an emblem of romance, passion and everlasting beauty. The rose petal, ravishingly romantic and evocatively emblematic is embodied throughout the collection in precious materials, gold, diamonds and petal-shaped sapphires of an exquisite pink. Each piece of the four collections, many of them one of a kind or limited editions – is hand-crafted to the highest standards for which Montblanc is internationally renowned. Representing her life as a princess, the high jewellery line features diamonds and rose-pink sapphires, specially cut in a lusciously sensual drop-shape to capture the voluptuousness of the rose petal. 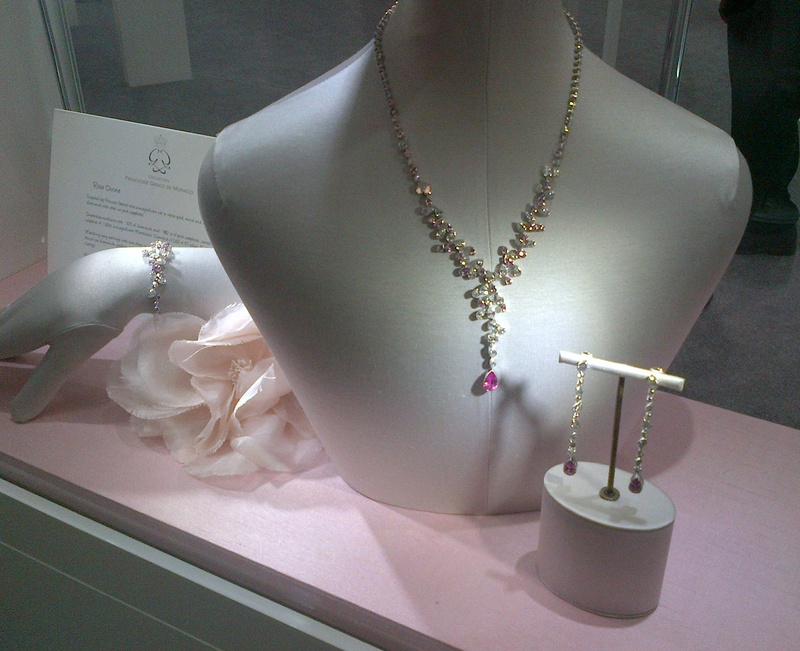 The fine jewellery line truly reflects her lifestyle as a contemporary woman. In the two opulently casual fine jewellery collections – Petales de Rose and Petales Entrelaces motifs, openwork petal forms are outlined or paved in diamonds and echoed in soft pink gold, clustered together or interlaced to represent and celebrate the loving union between a couple, the mysterious, magical intimacy bonding a man and a woman. The same drop-cut pink sapphire highlights the Montblanc writing instruments of the collection. With scattered diamonds, the pen clip and cap top were designed to mirror the curvaceous V-shaped neckline of a black velvet dress worn by the Princess in a celebrated photograph; one of Prince Albert II’s favourites of his beautiful mother. Quality and detailing – the hallmarks of the world-famous Montblanc pen are taken to a new level in this tribute series, featuring champagne coloured gold fittings, rubies cut in rhombus shapes taken from the Grimaldi coat-of-arms, and an 18 carat gold nib with a heart-shaped opening. The all-encompassing collection of superlative timepieces, ranging from scintillating one-of-a-kind high jewellery watches to the everyday chic of stainless steel with diamonds, pays homage to the nobility of Princess Grace. The refined timepieces feature brilliant cut diamonds, pink sapphires and lustrous mother of pearl dials. Each piece is a ravishing masterpiece, bringing together the art of the watchmaker and jeweller together in a sublime harmony to forever personify the innate elegance of Princess Grace….well there is now another reason for the women of Dubai to make a beeline for Montblanc.